During 2013, I had the pleasure of working on two projects which are now in various states of seeing-the-light-of-day. 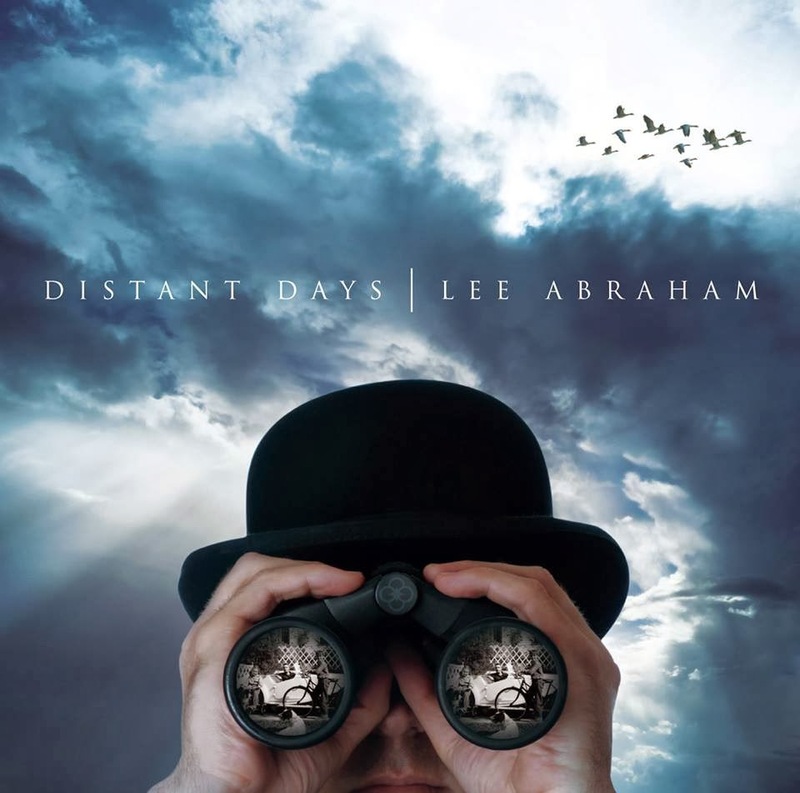 I have contributed guitars and backing vocals to Lee Abraham's forthcoming opus "Distant Days", which should be out in February (if Prog Magazine is to be believed - which I'm sure it is!). I visited Lee in February to do rhythm guitars, and returned in September to lay down 3 guitar solos on the album's epic closing track "Tomorrow Will Be Yesterday". The album features some unbelievable performances from just about everyone concerned, and is a more-than-worthy follow-up to Lee's successful 2009 album "Black & White". Lee himself sings the haunting title track and takes the guitar solo, with yours truly providing some Strat-twang in the background. There are some astounding vocal performances throughout the album, including Dec Burke (Darwin's Radio, Frost*, etc.) and Steve Thorne. In December, I had the pleasure of accompanying Lee to Thin Ice Studios where the album was mastered by Karl Groom (Threshold). Karl also provided a stonking guitar solo on album opener "Closing The Door", and manned the desk earlier in the year while Gerald "Mully" Mulligan was laying down the drum tracks for the album. 2. A job-swap with Death...? A day or two before I left home to start laying down guitars on Lee's album, I was contacted by Gary Mackenzie of The Mighty Handful. Gary asked if I'd be interested in contributing some guitar to an upcoming prog-stravaganza which he and his Mighty colleagues had been preparing, to which I said an immediate yes (being the musical prostitute that I am). Gary sent me a couple of tracks, and on the day of the 2013 Eurovision Song Contest I went along to MightyMatt's house-boat studio on the Thames to chuck down some solos / drink some Guinness. The idea is this; Glenn, a local legend and would-be rock star ("the best of the best of them"), has died. His best mate is understandably upset about this. Shortly after toasting the memory of his fallen friend, who should walk through the door but Death himself? Mr G. Reaper offers our hero the chance to revisit the past in order that he better understand Glenn's path through life, and ultimately to choose whether or not to bring his friend back to the land of the living. 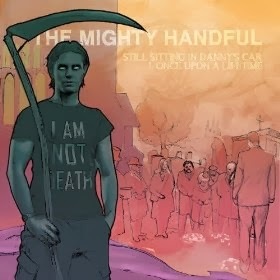 Entitled "Still Sitting In Danny's Car" (a reference to the supernaturally souped-up Vauxhall Cavalier in which the protagonist traverses the time-streams), the album is a wonderful mesh of sentiment and silliness with beautifully observed lyrics and splendid songwriting. The boys plan to release the album as a series of EPs over the coming year, and the first part was released in November 2013. I contributed a lengthy guitar solo and some rhythm guitar to "Cavalier Spirit", and the album also features guitar contributions from Andy Burgess of NWOBHM forged AOR stalwarts Praying Mantis (with whom Gary played for a number of years). A sampler of the first EP, "Part 1 - Once Upon a Lifetime", is available on the band's Soundcloud page. 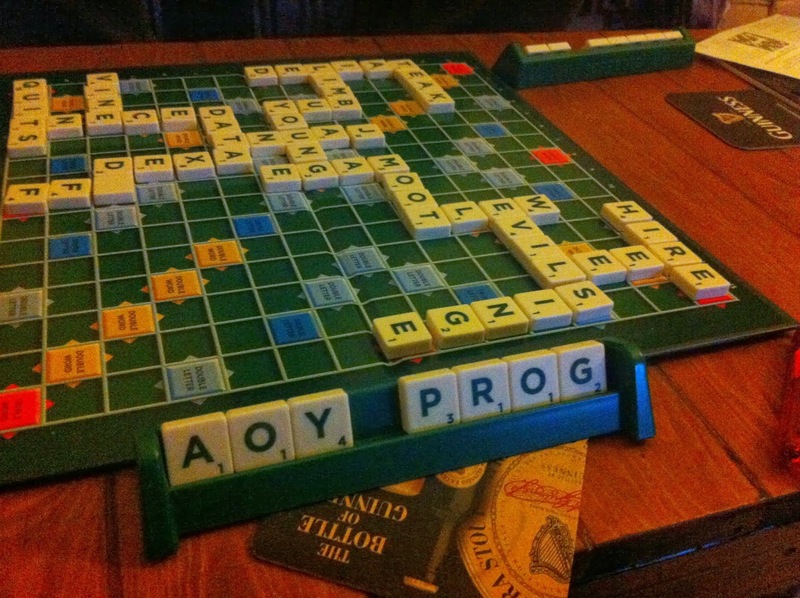 I've just noticed that someone has commented "yeah...prog!" just after one of my contributions, so I must have done something right! The whole EP can be streamed on Spotify, or you can buy it from iTunes and Amazon. I've already contributed some guitar to a track which is slated to appear on Part 5, and I have been asked if I would like to join the band for a gig later this year. The future is bright. The future is Mighty. That's it for now! Keep your bits clean, and I'll have more to report soon. I might even post the last bit of the Rhodes Rock diary some time this year!